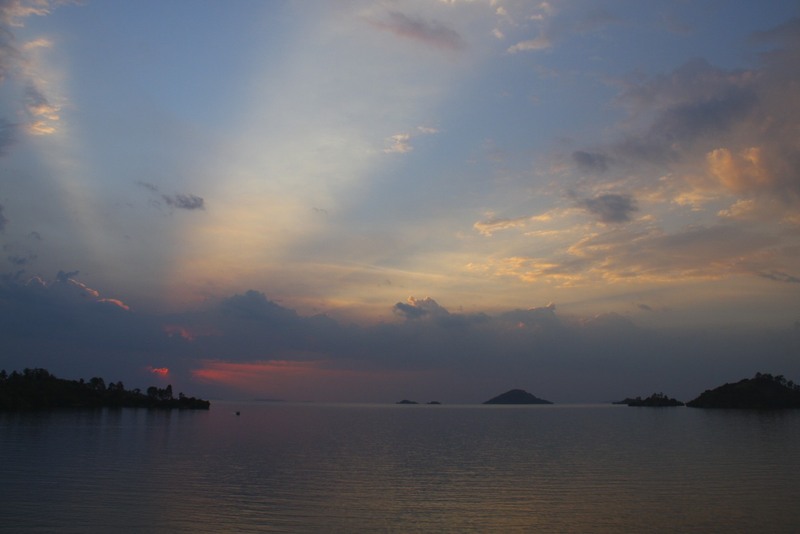 I was only able to spend two nights in Kibuye, but on both occasions I was treated to amazing sunsets. On my first night I went over to the Centre Bethanie, a guesthouse a short walk from where I was staying, which has a fabulous lakeside setting and fragrant grounds filled with flowers. The Centre Bethanie has a nice restaurant, with average food delivered very slowly, right on the water’s edge. 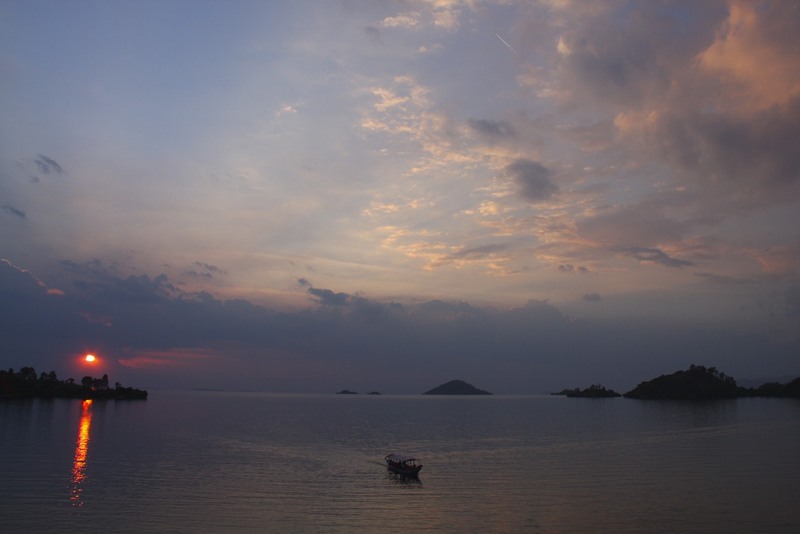 It was the perfect place to watch the sun set over the water while sat outside having dinner and a cold beer. 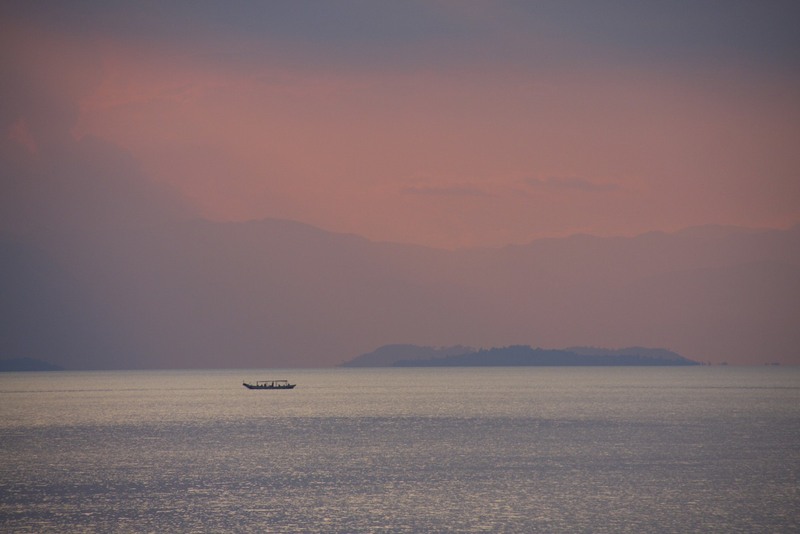 The red and orange sky was dramatically reflected in the still waters of Lake Kivu, while every now-and-then a small boat would silently move across the lake. Truly serene. The changes in colour, which turned the sky and land purples, blues and pinks, finally ended with an intense fiery sun which seemed to set the sky and water alight. 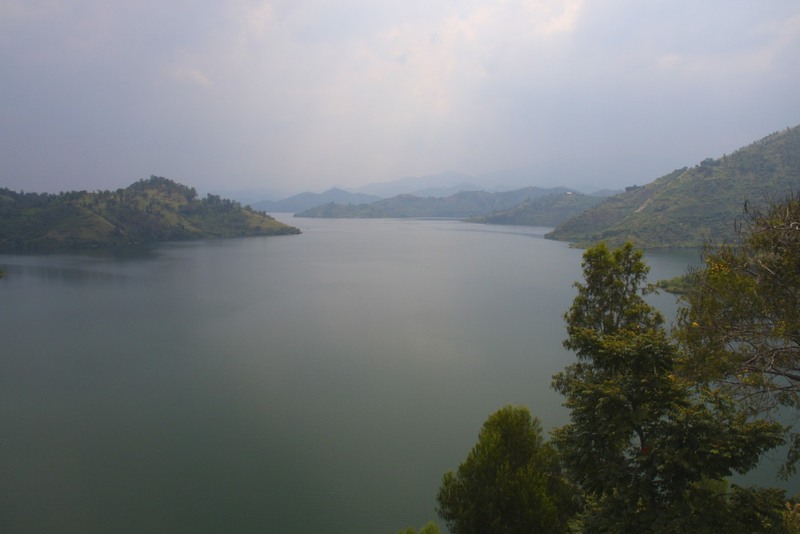 It was magnificent and it is seared into my memory of Kibuye. 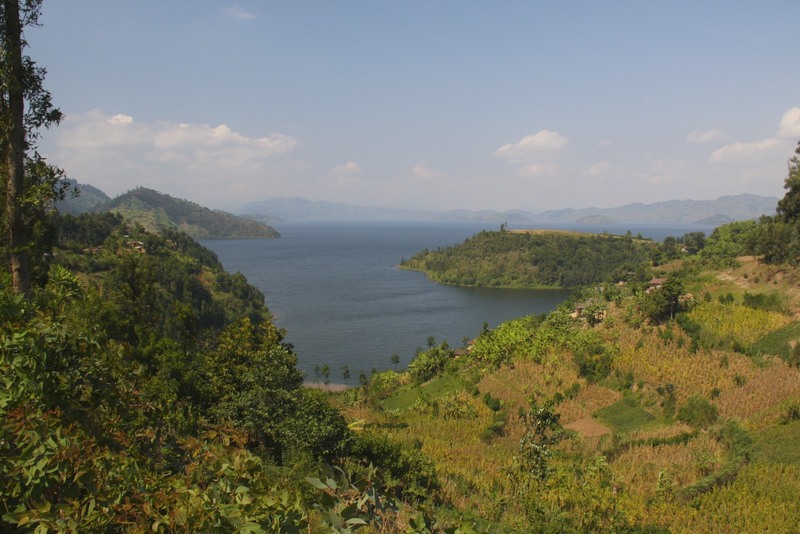 Rwanda, with good reason, is known as the Land of a Thousand Hills. Every part of the country I passed through involved a journey on twisting roads, through mountainous landscapes. 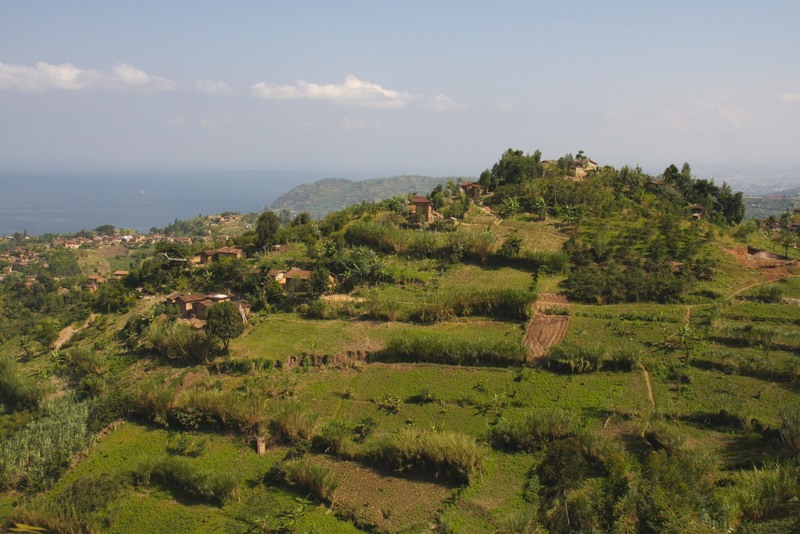 In fact, the whole of Rwanda is at altitude, the lowest point in the country has an altitude of 950 metres, only slightly lower than the highest point in England. 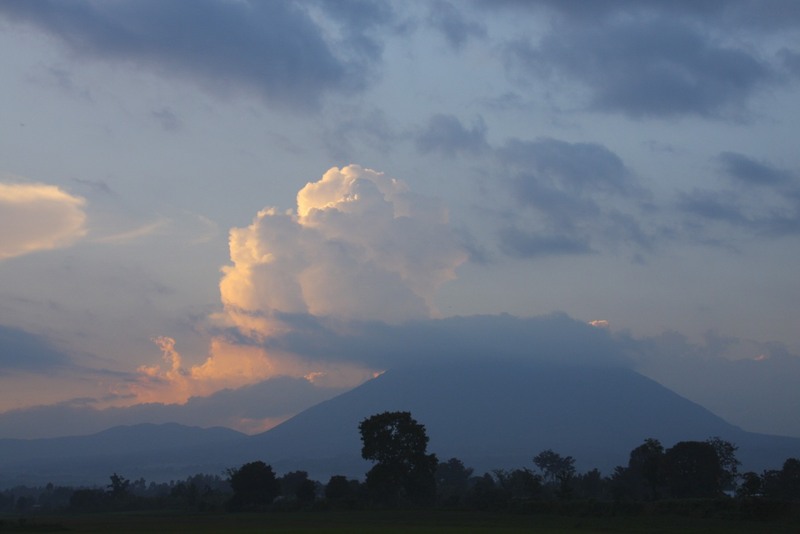 The highest point is Mount Karisimbi which reaches a whopping 4507 metres in altitude. 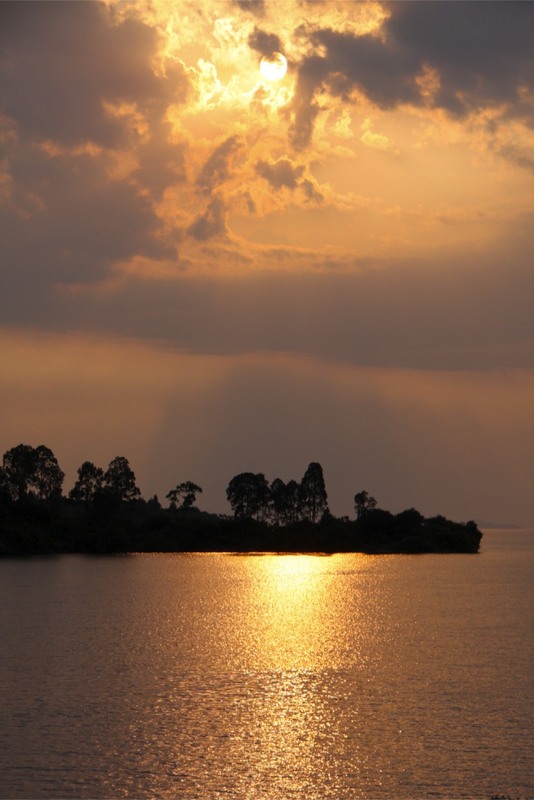 When you reach the tranquil Lake Kivu port of Kibuye though, Rwanda stops being the Land of a Thousand Hills and becomes the Land of a Thousand Islands. Dotted throughout the lake are numerous small islands, little hills in their own right, which make the views over the lake so wonderful. 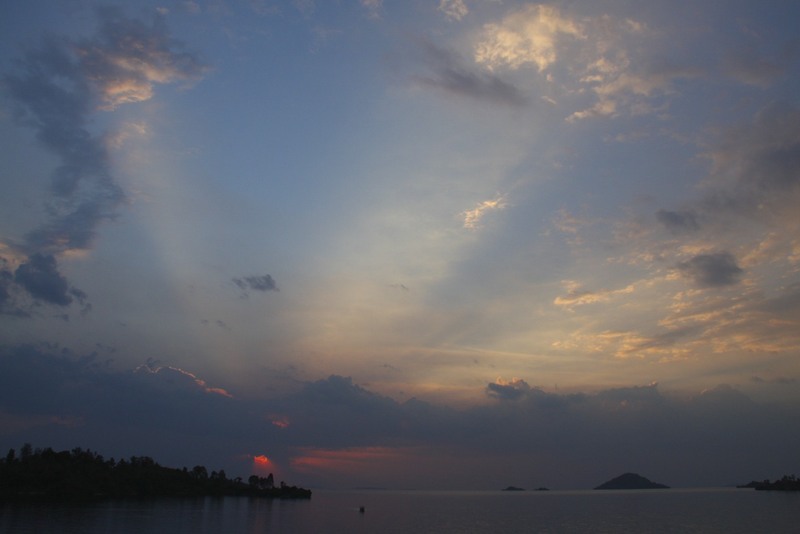 I didn’t have much time to visit Kibuye, but so many people had told me to go there, I felt I should make the effort to leave the beach at Gisenyi behind and journey further south. My map showed what looked like a good road from Gisenyi to Kibuye, but all the public transport seemed to go to the capital, Kigali, where I’d have to get another bus. 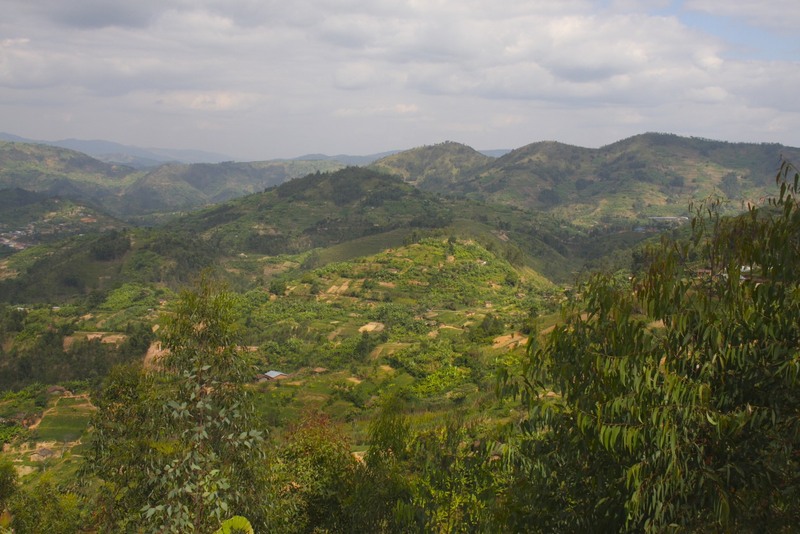 Asking around, people told me the direct route was possible, and passed through Rwanda’s tea growing country. I decided to hire a car and driver. The journey started uneventfully. 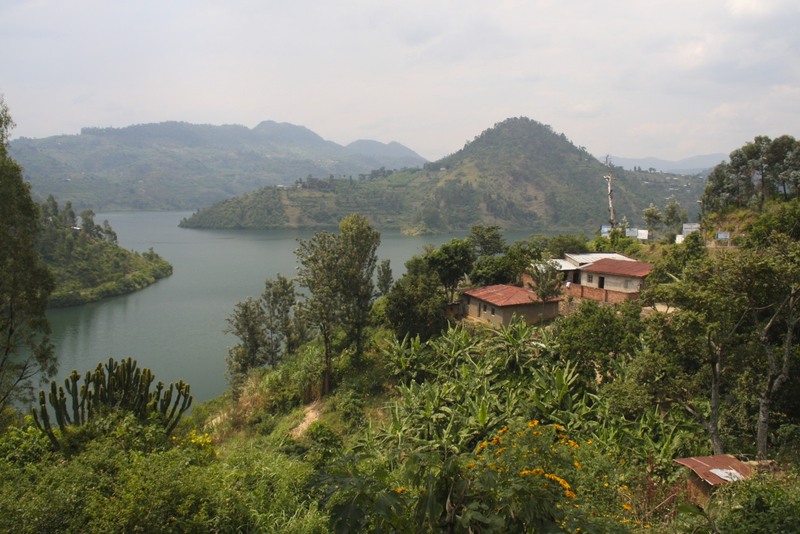 The road was dirt but well maintained, and for an hour or so we slowly climbed from Lake Kivu into the hills. The views over the lake were spectacular, but the further we went the worse the road became. There were some truly scary moments, once almost being run off the road by a truck. More positively, as one of the few vehicles on the road, we regularly stopped and gave lifts to people. In a mixture of bad French and faltering English, I found out more about life in the villages we were passing through. 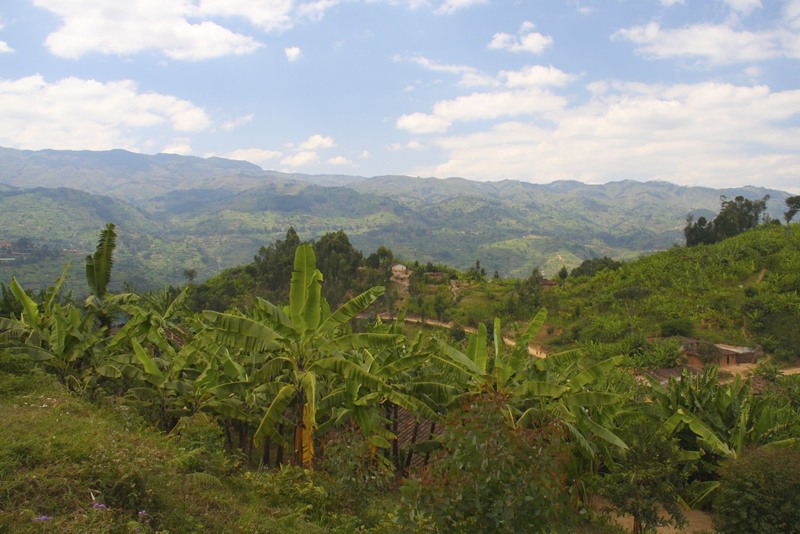 Bizarrely, high in these hills, the landscape started to remind me of Switzerland – just with plantains growing everywhere. At one point we passed through an area of dairy farms, which took me by surprise. It turns out this is a major dairy farming region. 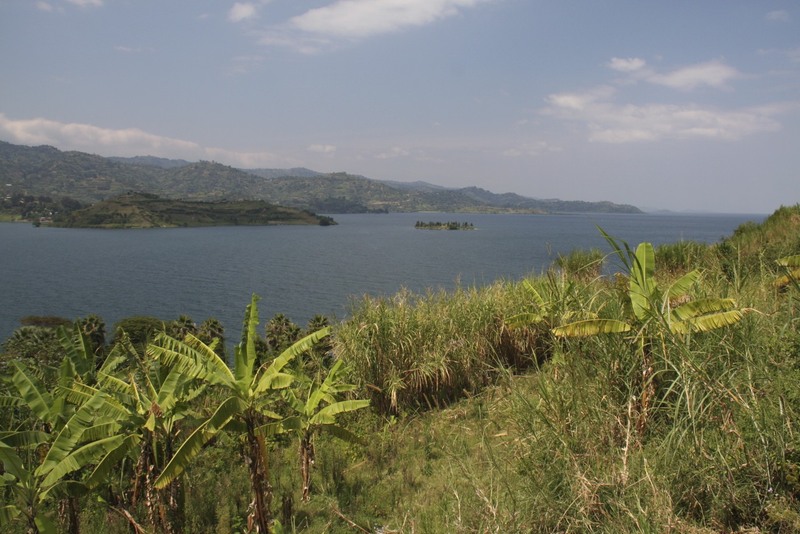 Eventually we saw Kibuye spread out below us, and we dropped out of the mountains back towards Lake Kivu. Soon we were on a paved road and heading towards the lovely Moriah Hill Resort Hotel, where I decided to splash out for a room with a view in the best hotel in town. 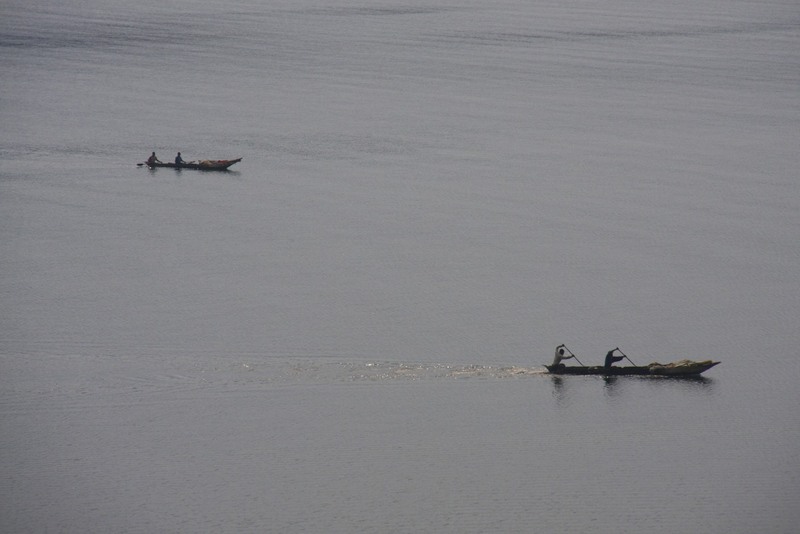 Kibuye is a peaceful place. 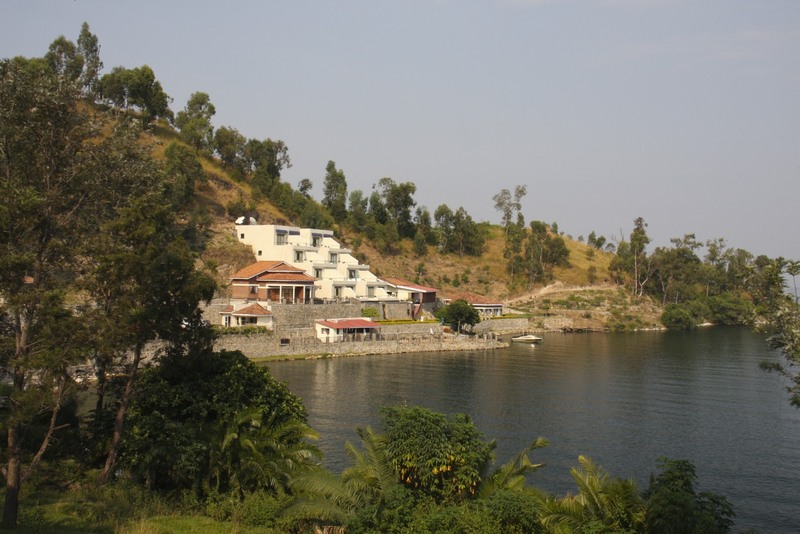 At weekends the town sees an influx of people from Kigali, here to enjoy the lake and healthy environment, but during the week the town is very quiet. 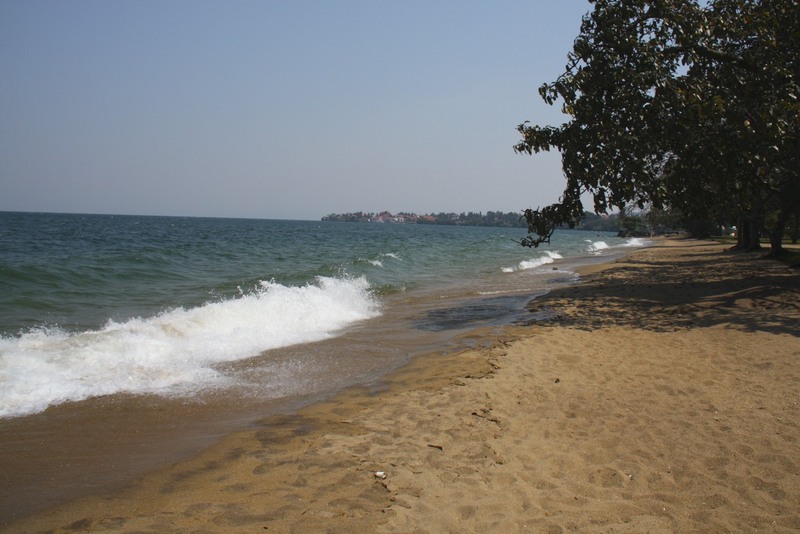 It is so tranquil and relaxed, that it is almost impossible to imagine the horrors that took place here during the genocide. 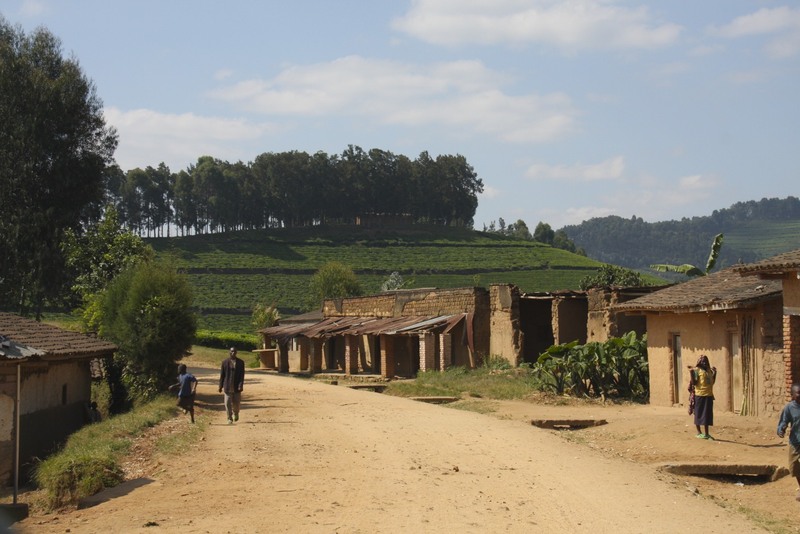 Over 90% of the Tutsi population of this area was murdered, and yet again the killing centred on the local church. 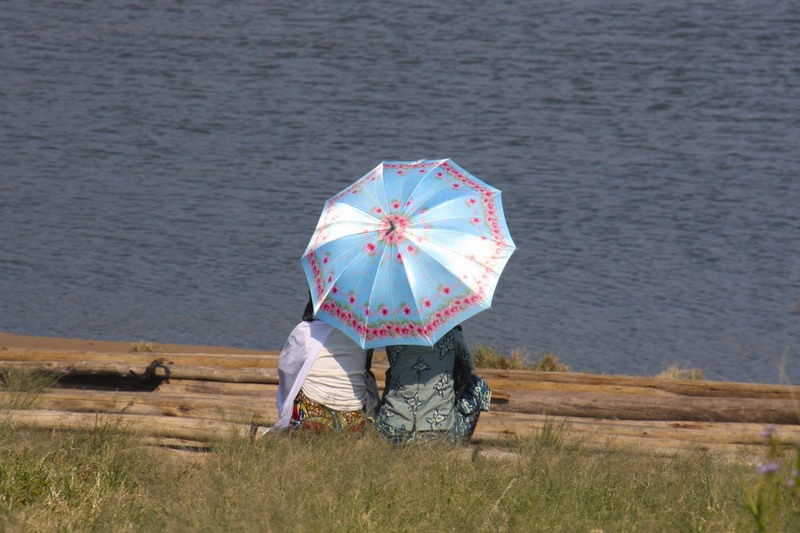 The story of what happened in Kibuye is told evocatively by journalist Chris McGreal. It is a report that is shocking but should be made compulsory reading. Government officials directed people displaced by the violence to gather at the St. Jean Catholic Church and Home Complex, which stands on a hill and commands a beautiful panorama over the lake. 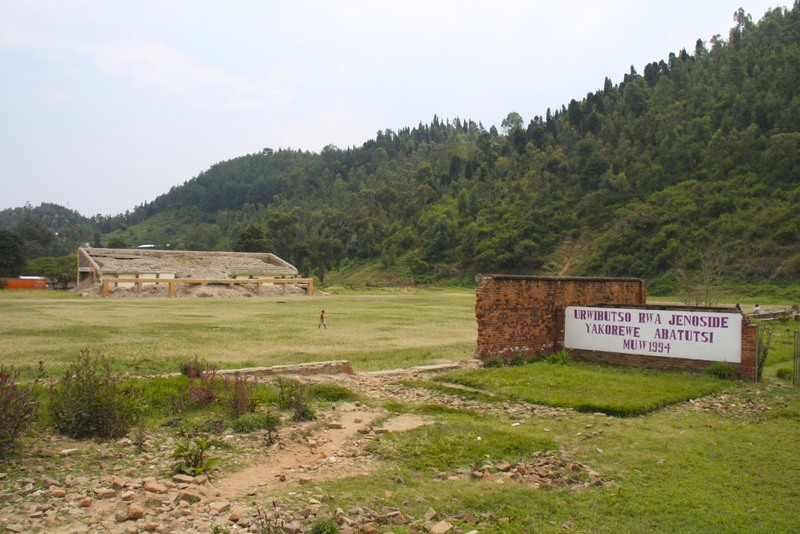 More than 11,000 Tutsi took refuge here, most of them were murdered, often in horrendous ways, by people they knew. The Hutu priest of the church of St. Jean’s, unlike so many of his co-religionists who collaborated with the genocide, acted with great bravery. He was given the choice to leave the church and save his life, but he chose to die with his Tutsi ‘congregation’. 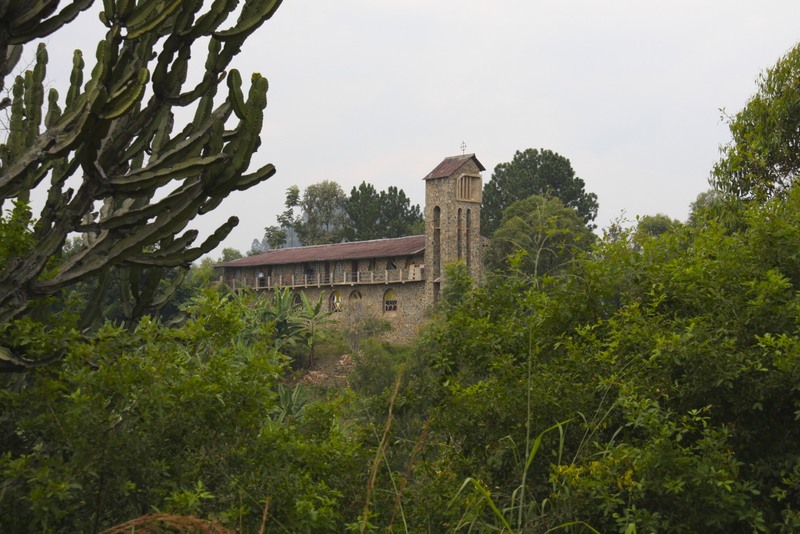 It’s hard to contemplate while standing in this place today, especially as the sound of music drifts out of the church and over the surrounding countryside, but it was here that the first massacre of unarmed civilians took place in Kibuye. Thousands were killed with guns, grenades and machetes. A simple memorial overlooking the lake bears silent witness to those events. 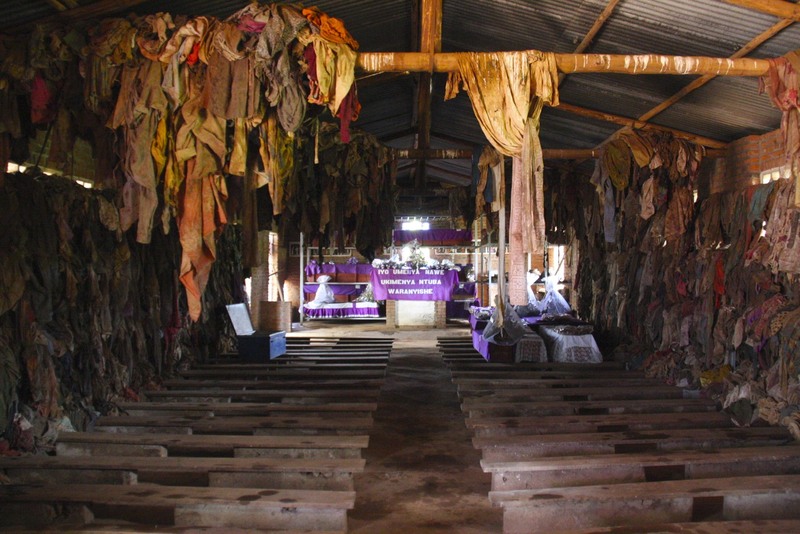 The Rwandan government had wanted to keep the church as it was in 1994 – bullet holes, grenade blasts and blood stains – as a memorial to the dead, but the Catholic Church resisted and the church was ‘cleansed’ and reconsecrated. The second massacre in Kibuye happened at the sports stadium. People had gathered at the stadium because the authorities directed them there for their ‘safety’. Once there, they weren’t allowed to leave, nor were they permitted food or water. People became so desperate they ate the grass from the football pitch. On April 18, 1994, a single gunshot was fired into the air, the signal for the killing to begin. Ten thousand people were killed at the stadium, their remains are buried in a mass grave next to the demolished stadium. Over a two day period more than 21,000 men, women and children were butchered at the church and stadium. A level of killing which is beyond imagination, both in its savagery and efficiency. As Chris McGreal‘s article points out, today the surviving Tutsi are forced to live amongst the killers of their families and friends. 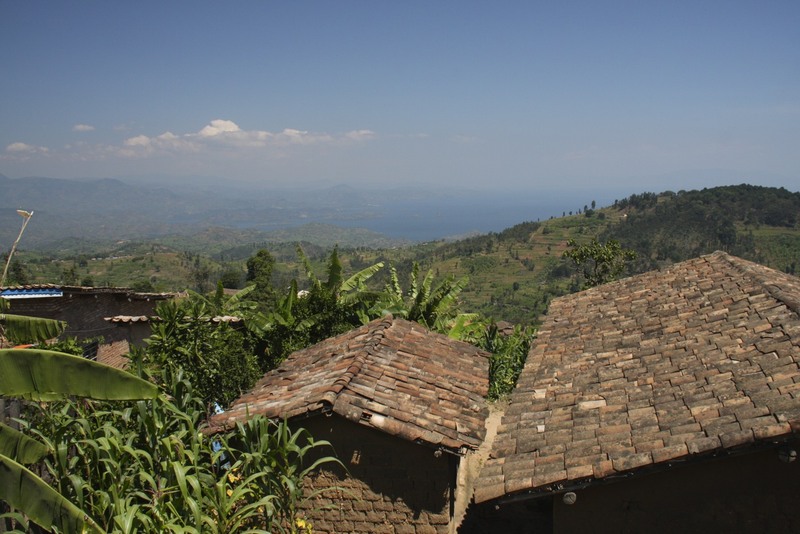 More and more Hutu murderers have been released from prison, many have moved back into the communities they destroyed in 1994. 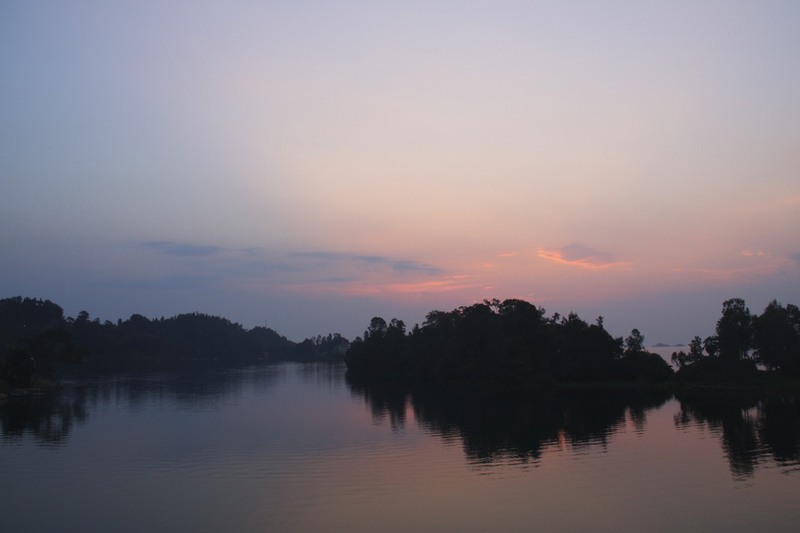 As a visitor, none of this is especially obvious, and Kibuye seems like a place that is looking towards a brighter future. A future that is embracing tourism for all the right reasons, but which remains tainted by the past. 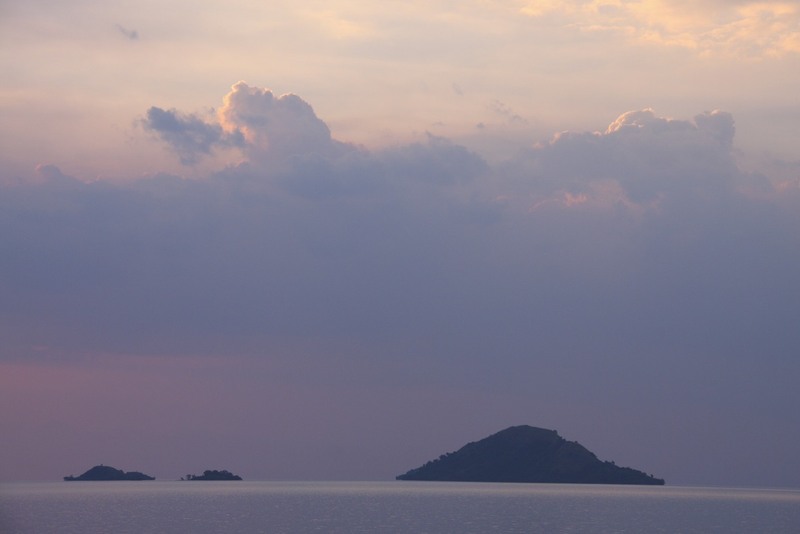 Perhaps the most bewildering thing about Rwanda, is just how ordinary and normal it feels when you travel around the country. It’s history, and the genocide which was perpetuated on its people, looms large everywhere you go. 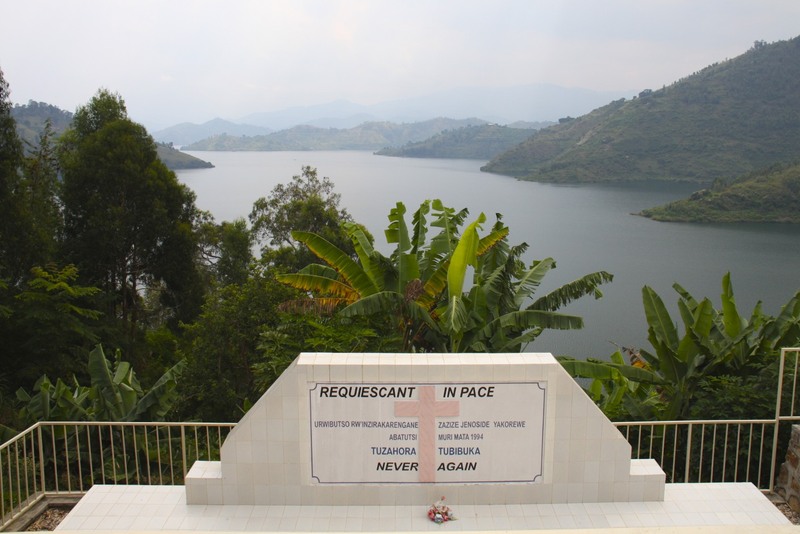 There are memorials to the dead in almost every village and hamlet in the country: inescapable reminders that, for Rwandans, there was no corner of their country left untouched by the brutality, no community or family that didn’t suffer death and destruction. Yet, in this most exceptional of places, life continues to be lived in the most seemingly unexceptional way. That says a great deal about the resilience of Rwanda and Rwandans. Rwandans don’t want to forget what happened in those murderous days in 1994, when a deliberate and terrible wave of violence was unleashed across the whole country. They certainly don’t want the international community to forget what happened here. The same international community which stood idly by, passively allowing the genocide to claim the lives of nearly one million people. Men, women and children, old and young, were slaughtered by the military and Hutu militias, many tortured and killed in the most horrific manner imaginable. 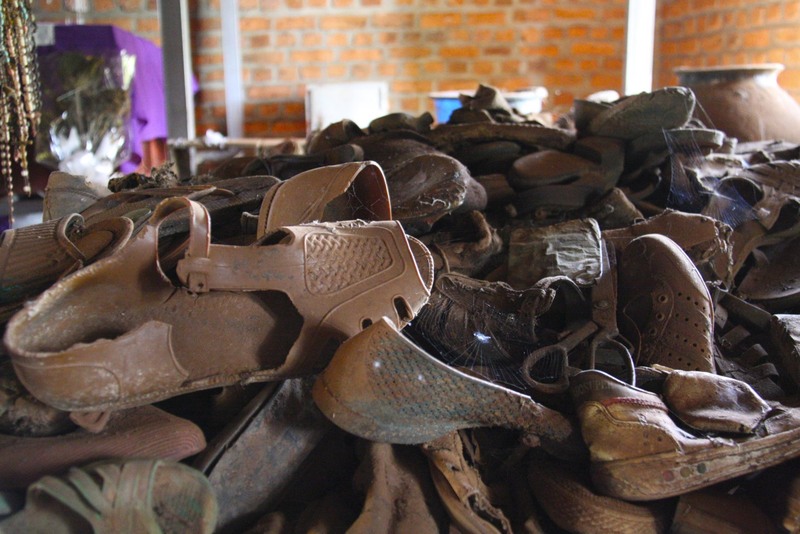 If the genocide defines people’s perceptions of Rwanda, Rwandans also want the world to know that their country is much, much more than just that one catastrophic period in its history. Talking to people as you travel around the country is humbling, and every person I met had a thirst to know where I was from, what my life was like and whether I was enjoying my time in their country. Some people talked openly about the family members and friends they lost in the genocide, but mostly it seemed inappropriate to ask too many questions. 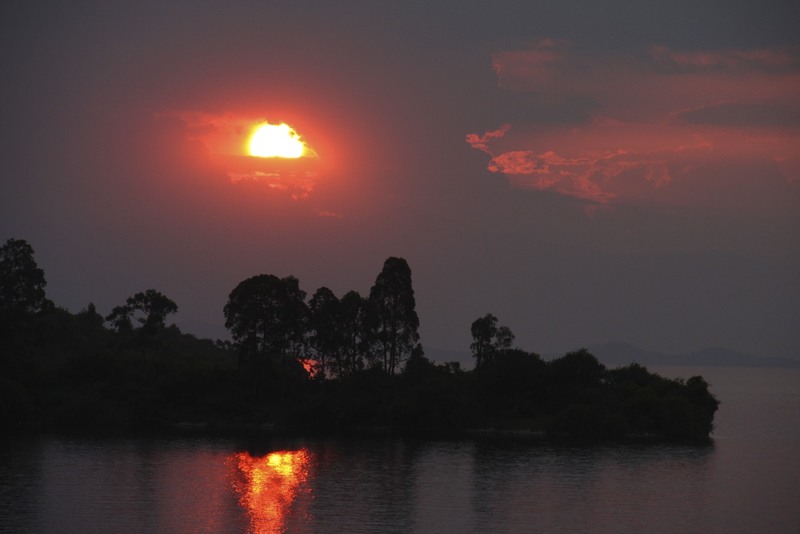 There is a wealth of information – news stories, academic research, biographies, histories, documentaries and films – detailing Rwanda’s history and descent into genocide. The film, Hotel Rwanda, is one of the more moving accounts; and the book, Shake Hands with the Devil: The Failure of Humanity in Rwanda, by General Roméo Dallaire, the UN Commander in Rwanda, is a startlingly human account of someone forced to witness the genocide first-hand without the power to prevent it. 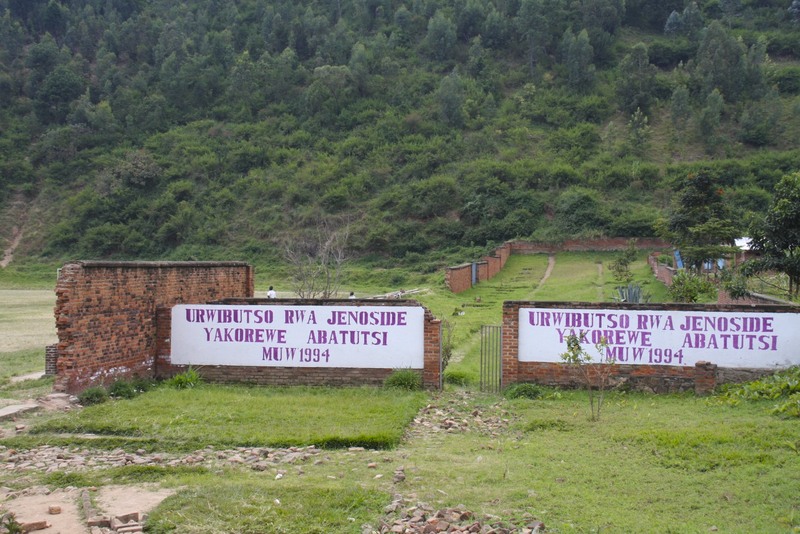 In Rwanda, its impossible to avoid the legacy and memory of the genocide, but this wasn’t the reason I wanted to visit. A friend had returned from Rwanda and her description of the country and its people fascinated me, made me want to understand it better. 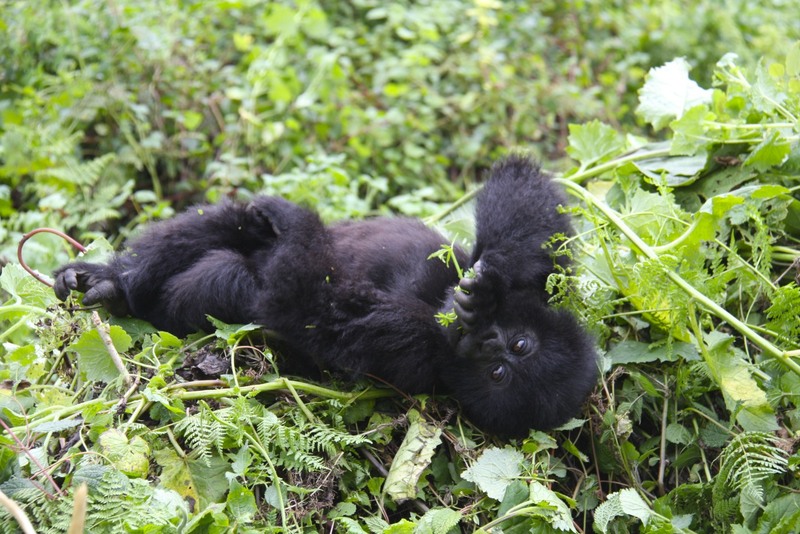 In the end, it was the opportunity to see one of the most iconic of all creatures on this planet, the Mountain Gorilla, that tipped me over the edge into booking my flights. A couple of weeks isn’t a lot of time, but Rwanda is a small country with probably the best maintained roads in Africa. Travelling is easy and quick, although if you want to get to some more distant places, hiring a 4×4 is probably the best idea. 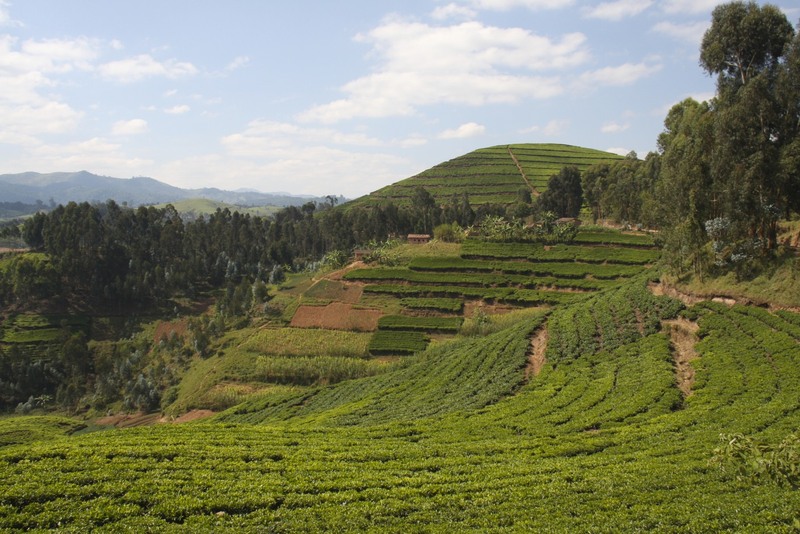 The thing that struck me most about Rwanda, is just how beautiful and verdant the countryside is. Although it is hard to escape the fact that, in this tiny country with a growing population, almost all the available land is already used for agriculture. This is important. 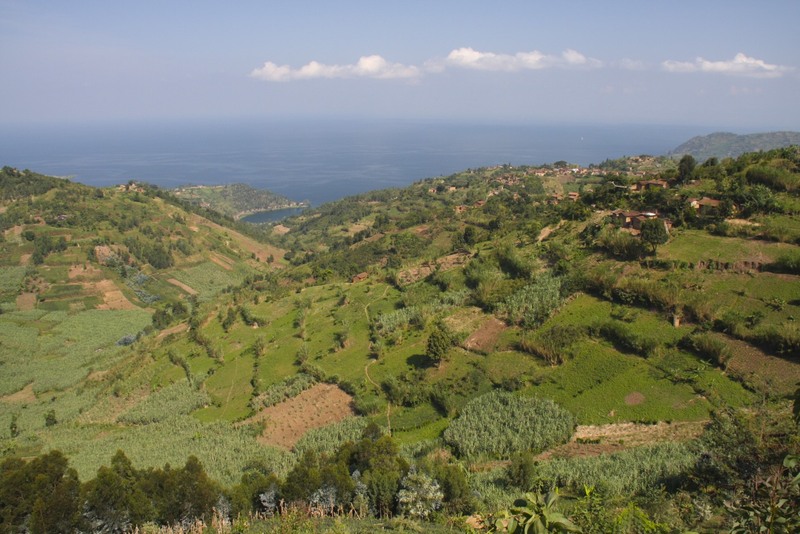 Land rights were one of the hidden causes of the genocide, and competition for land and water could cause future conflicts. Its also important because some of the last remaining wilderness areas are under serious threat from agriculture. This is putting pressure on the habitats and animals which could be the source of a tourism boom; while the loss of trees for firewood and to clear land for crops, could severely effect the watershed. Rwanda is addressing these, and many other issues, with limited resources, but from my experience it is looking to the future with confidence. 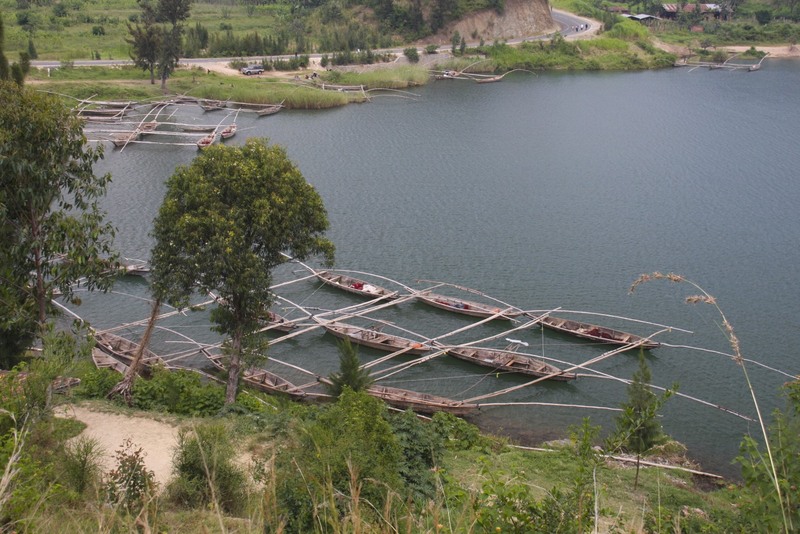 Although it’s involvement in the conflict and theft of natural resources in neighbouring Democratic Republic of Congo, casts a long shadow over that future. 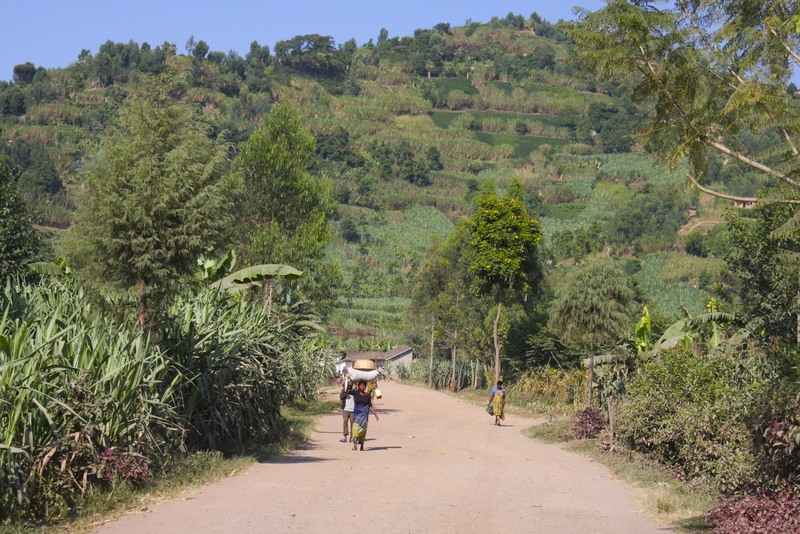 Travelling around the country though, Rwanda struck me a stable, safe and welcoming. 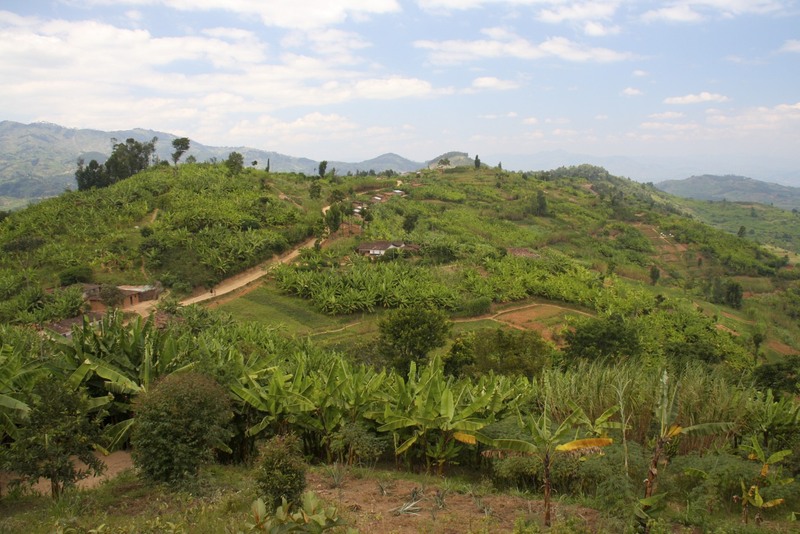 It certainly deserves the name the Ministry of Tourism has bestowed upon the country – Land of a Thousands Hills. 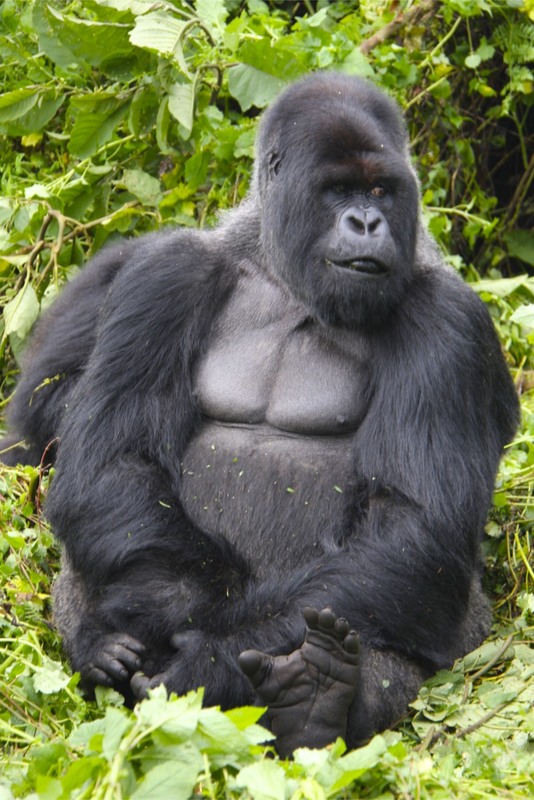 There are hills everywhere, including the volcanic Virunga mountain range, home to mountain gorillas which roam across the borders of the Democratic Republic of Congo, Rwanda and Uganda. It was a journey I’m unlikely to forget any time soon.